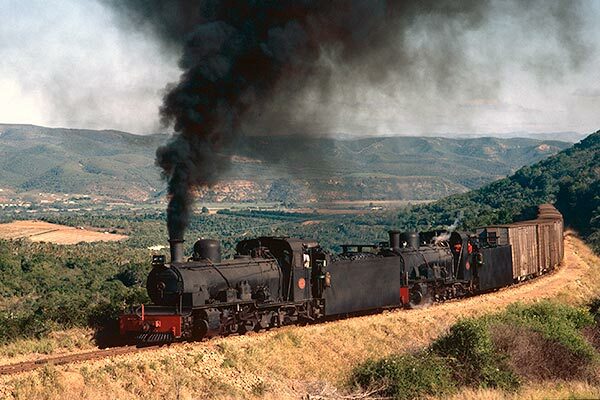 Caption - The South African Railways (SAR) two-foot gauge line from Port Elizabeth to Avontuur saw regular double heading of heavy fruit trains in season. Here NG15 class 2-8-2's nos. 144 and 148 head such a train in June 1985. Both locos are from the final batch of NG15's delivered from Henschel in 1957.